MGB operative Leo Demidov is a strict rule follower. Working for the government during Stalin’s reign, and as a poster-boy soldier in the years before, Leo abides by the regulations set out for a strong and faultless communist Russia. His job within the Ministry for State Security involves the apprehension and arrest of traitors, political dissidents, and anybody at risk of destroying the future that Stalin has mapped out for his country. Anybody could be guilty of these crimes- men, women, and even children- and the punishments for guilt could range from years of hard labour in a gulag (work camp), torture and/ or execution. But Leo has conditioned himself to look past the ethics of his job, believing that these people are being punished for the good of Russia. Set in Stalin’s Soviet Russia, it’s clear that the author did a lot of research regarding the autocratic and fearful environment that the characters live in. The sense of paranoia, the fear of fatal reprisals and the surprising courage of the people in distant villages all blend together to create a realistic portrayal of what it could have been like to live during that violent and brutal era in Russia’s history. All of the characters are strong in their own way, from brave and headstrong Leo to survivalist Raisa, and even the unlikeable characters (like Leo’s former ‘partner’ Vasili) have strong and often understandable motives for being the way that they are. Leo’s childhood, the murderer’s back story and the political climate all add to the tension in the tightly woven plotline. Add to this the fact that the murders are based on a true story, and you have an engrossing and gripping recipe for crime-book success. 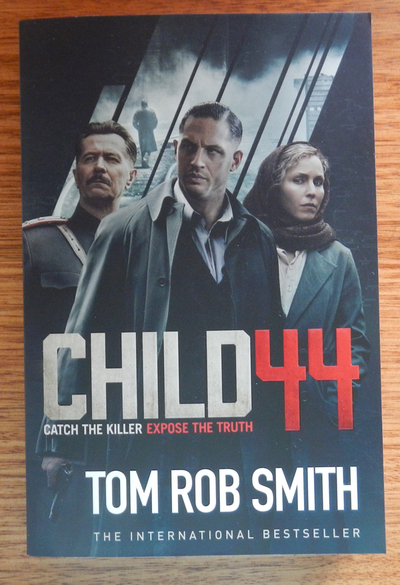 This award-winning thriller has been made into a film starring Tom Hardy, Gary Oldman and Noomi Rapace and, while I haven’t seen the movie, if it is anything like the novel, it should contain high-edge drama and action, as well as a brutal but realistic portrayal of Soviet Russia between the 1930s and mid-1950s.